Coming April 18, 2015. Follow the yellow brick road! The Garmin Marathon, In the Land of Oz is held in Olathe (a Shawnee Indian word for “beautiful”), just southwest of downtown Kansas City. Offering marathon, half marathon, 10K, kid’s run, and team relay courses, the event lives up to its host city’s name with beautiful flat trails, city streets, and small rolling hills for the nearly 4,000 runners expected. 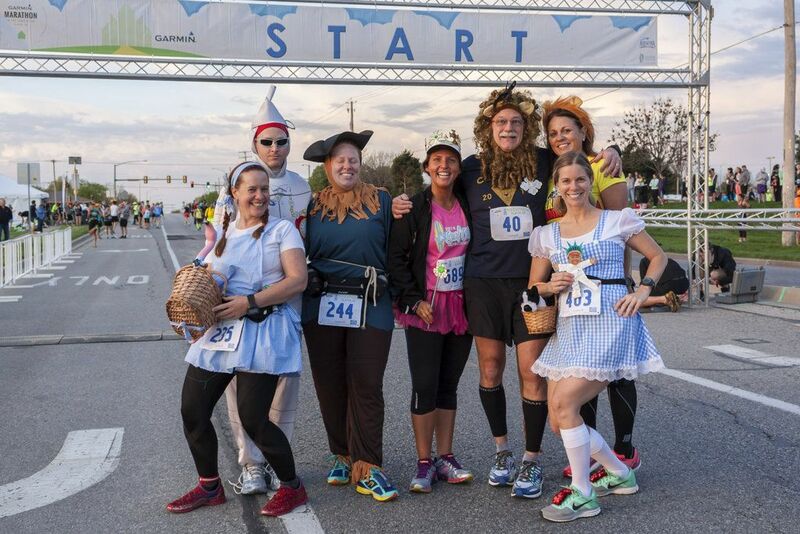 Costumes are welcome, and you can expect to see Oz-themed characters like Dorothy, the Scarecrow, the Lion, the Tin Man, and maybe even the Wicked Witch. As they say, “a wickedly fun race experience”!